Not all games have to be enormous open world complex adventures to make an impact. Sometimes what’s not there is more arresting. 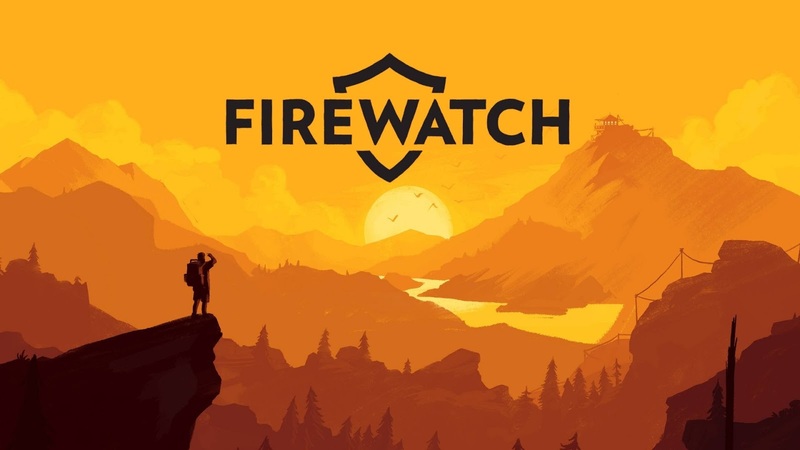 Enter mystery thriller Firewatch, the debut game from developer Campo Santo. It’s a game often drenched in silence. It’s a game about isolation, not densely populated realistic worlds. It’s a game about focus and simplicity, wrapping up its story in around three hours. That simplicity is exemplified in the text based opening, detailing the back-story of protagonist Henry and his wife Julia. Short statements loaded with emotion and gentle, evocative music are enough for the player to invest in this heart-breaking story, making small choices along the tragic path. It’s a devastating beginning. The focus on the writing continues throughout the game, as the narrative unfolds through conversations and the occasional written note. 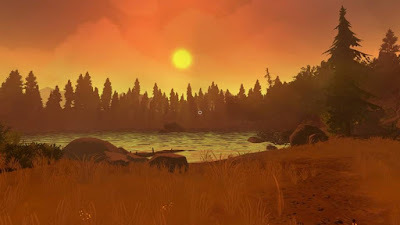 We play as Henry as he embarks on a summer job as a firewatcher in the Wyoming forest in 1989. He’s there to escape, to isolate himself from his troubled life. His only contact is his boss Delilah, who communicates solely via radio. Firewatch has themes more akin to literature as it plays with perspective and a potentially untrustworthy narrator, but it’s interactive storytelling that only games can fully explore. 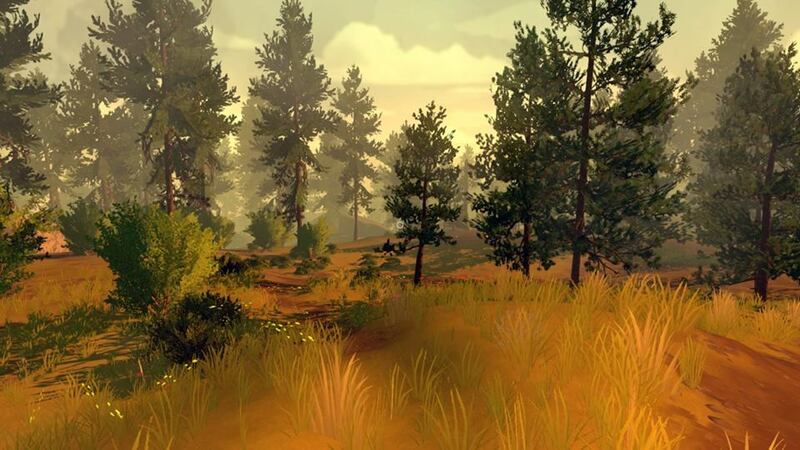 Thankfully Firewatch excels with its dialogue – essential for this sort of game. It’s never less than natural and believable, with nuanced voice performances from Rich Sommer and Cissy Jones. Henry and Delilah are hugely empathetic and often humorous as they discuss their lives, their thoughts, their fears. Unlike so many characters in video games, they feel human. It’s the visuals that are immediately striking, however. Based on a painting by artist Olly Moss, the Wyoming forest is saturated in colour and mesmerising to watch. The grass gently rustles in a soft breeze as the sunlight pours through a canopy of lush trees, dappling the ground with light and shadow. 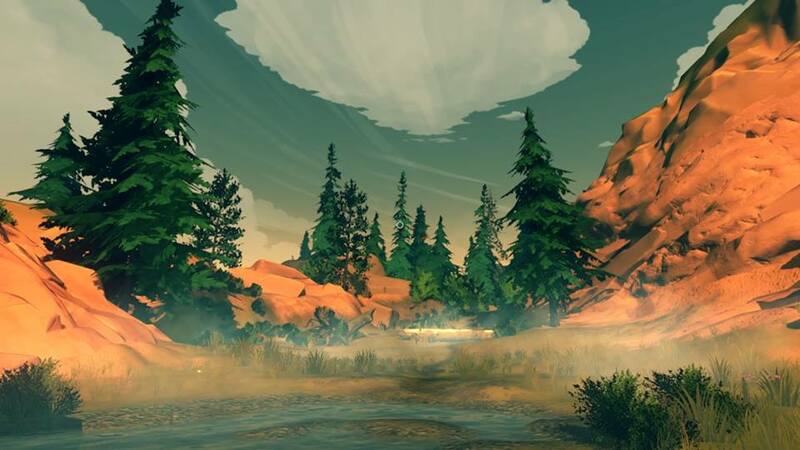 You will absolutely want to stop and admire the view on countless occasions, the stunning visuals marred only by a sometimes choppy frame rate and some pop-in (on PS4). The peace and tranquillity are tangible. You will revel in the silence, music used sparingly to punctuate key moments of dialogue. 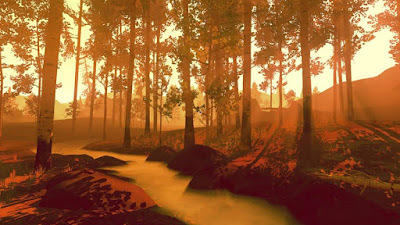 Yet this colourful world and its chunky almost cartoon aesthetic disguise the adult drama bubbling beneath the surface as Henry and Delilah unravel a mystery hidden in the forest. Soon that silence becomes oppressive, the solitude is utterly disquieting, and the atmosphere changes to tense and ominous. You listen out for each rustle of movement and question each shadow. Is Henry being followed? Is fire the least of his worries? The plot is littered with ambiguities, but the fire does eventually burn out. In its quest to manipulate the player, the story ultimately amounts to very little with an ending that fails to reward the mystery and constant second-guessing. Yet Firewatch is a gaming masterclass in playing with expectations – this colourful world is not what it seems and in this instance it’s a joy to be fooled.